Check-in: 10:00 a.m. Check-out: 10:00 a.m. Campground Office hours of Operation are: Monday – Friday, 9:00 a.m. to 3:00 p.m. Camp hosts are on duty after hours until 11:00 p.m. and on the weekends. After Hours Check-In: Report to the Campground Office and contact the on duty Camp Host. On duty Camp Host information is posted on the door of the office. 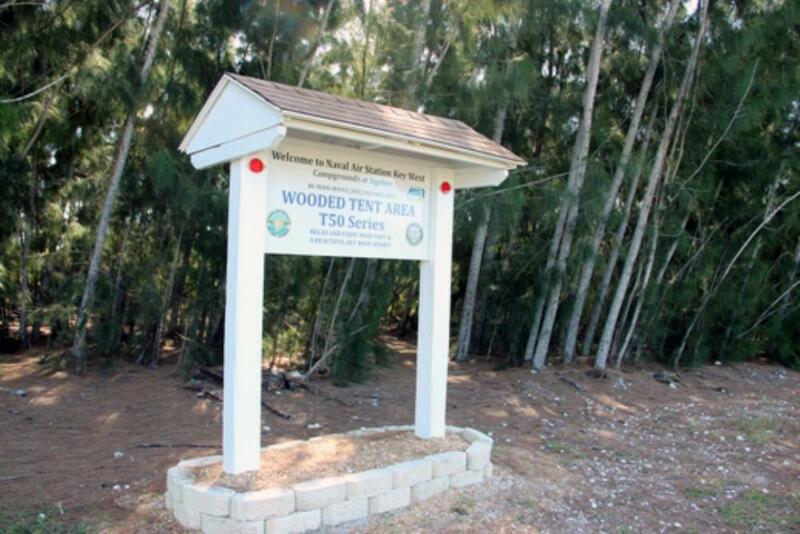 Tents may be setup on site until 10:00 p.m.; RV’s may be placed on site until sunset. 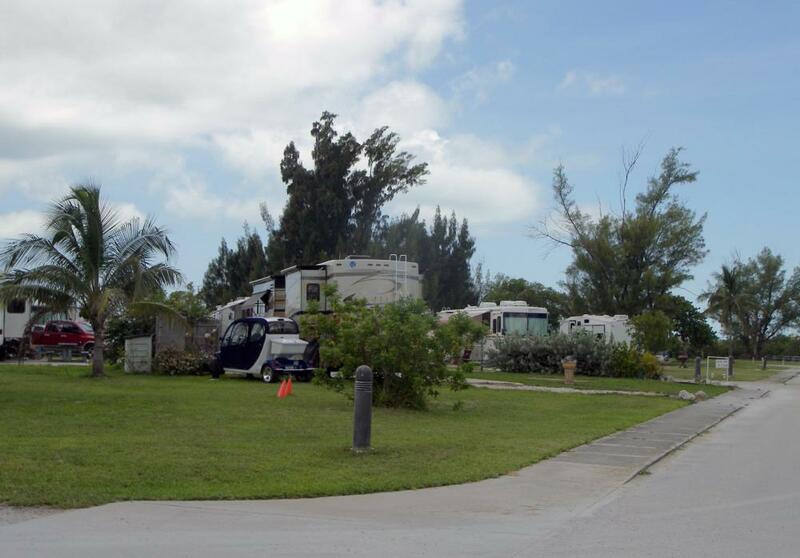 Any RV arriving after sunset must setup in the overnight parking lot, located next to the Campground office. 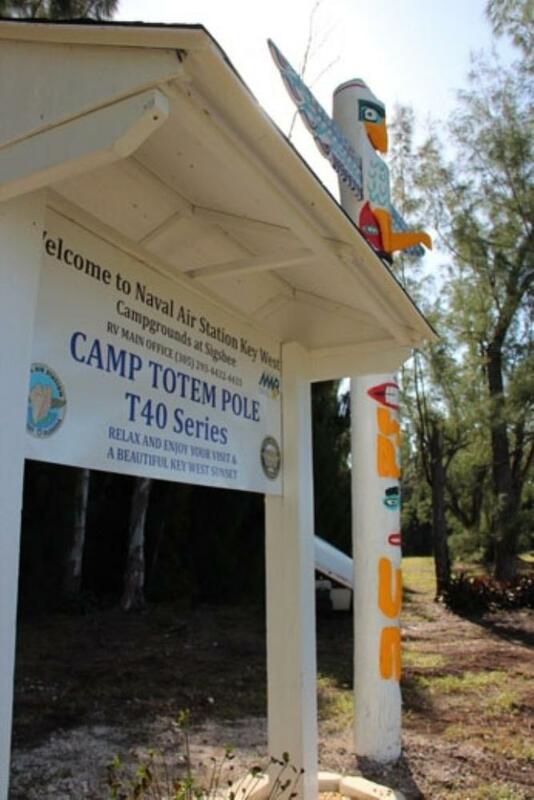 ** Directions - Campground Office is located at Sigsbee Park Annex on Key West - Turn north at the corner of Kennedy Drive and North Roosevelt Blvd. Trumbo Point Annex – Turn north at the corner of Palm and North Roosevelt. Turn right into Trumbo Point Annex and then turn left to overflow area. Security Pass and ID is at gate to Boca Chica Field located at mile marker 8 on US 1. * Please call the property to check availability and book reservations between October and May. * Reservations may be made for primitive (dry) RV and tent sites. All of these sites are primitive without electric, sewer or water. 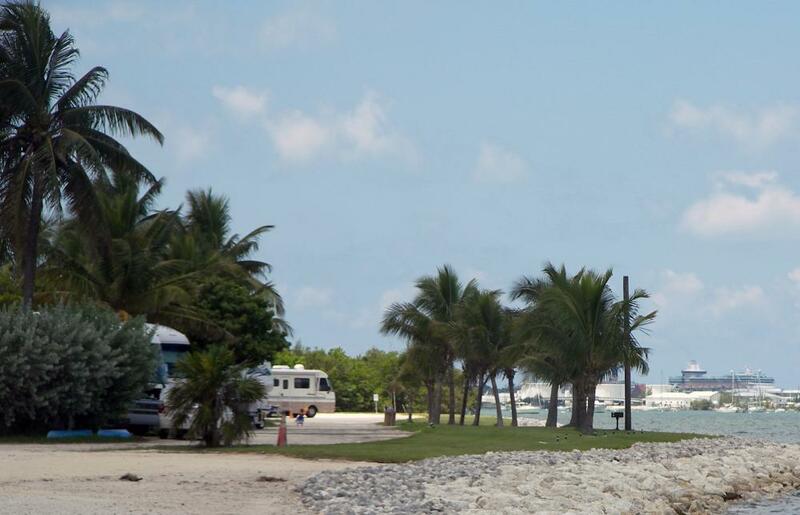 Guests who have reserved a primitive RV site will be upgraded to a full hookup, if or when available. During peak season (October - May), all guests checking in are placed in the primitive area and added to the wait list for rotation to a full hookup. RV‘s must be self-contained and have their own power source for the primitive area. Generator hours are 7:00 a.m. to 11:00 p.m. Potable water, dump-station, bath houses and laundry facilities are located throughout the campground. Same day reservations are booked by calling the site. * Maximum stay: Full Hook-up 14 days maximum. Dry Hook up varies, please see site. * Maximum reservations per ID: An eligible card holder is limited to one reservation per “Sponsor”. * Sponsored guest restrictions: Non-military ID card holders are not eligible for a reservation. Guests will need to be escorted at all times. * Foreign Nationals: Foreign Nationals must be cleared by Security prior to arrival and then escorted. ** Pets are allowed in the RV Park if registered at check-in. Please call site for additional pet restriction information. ** Open fires are not permitted in any areas of the property. ** Base amenities also include bike rentals.